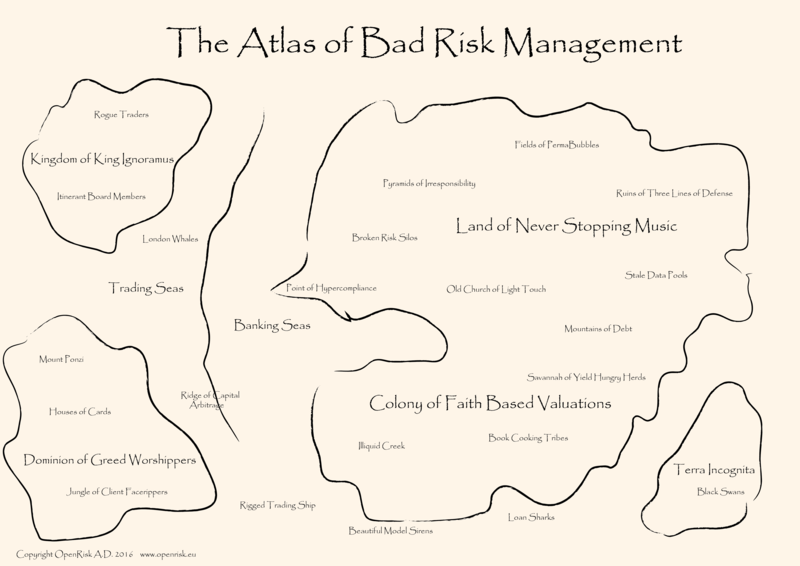 The Atlas of Bad Risk Management. The Atlas was discovered recently in archeological work studying pre-crisis civilizations. Despite the obvious wear and tear, all key risk failure areas have been preserved. We note the remarkable diversity of organizational forms and economic structures. Most interestingly, there is even an uncharted territory that was rumored to be inhabited by black swans.